Each of the many tribal groups in the state has its own language, so Hindi has emerged as the link language. A little known fact: Arunachal Pradesh is also a flourishing centre of Hindi in the North East. Hindi is also the language of debate in the state legislative assembly and of banter on the schoolground. 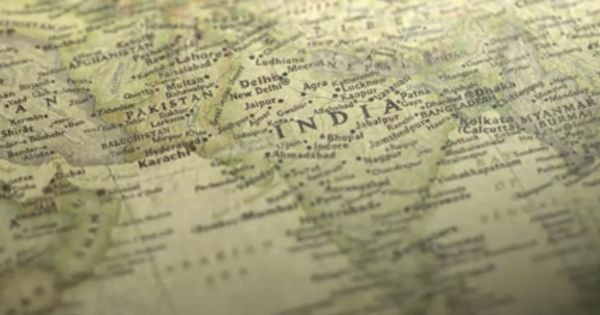 About 90% of the state's people speak the language commonly associated with the states of the Gangetic plains, said Pallab Dey, joint director of Arunachal Pradesh’s planning department. It isn't as if Arunachal Pradesh is short of languages of its own. By conservative estimates, the people of the state speak 30 languages – though some experts insist that the state has 50 languages, in addition to several dialects. “The 26 tribes and the 256 sub-tribes [of the state] all have different languages,” Dey said. That diversity, ironically, is among the reasons for Hindi's popularity. Many of these languages are incomprehensible to members of other linguistic groups, so Hindi has emerged as a lingua franca. The rise of Hindi as a second language has been supported by a combination of historical factors and the central government policies. The state’s first sustained exposure to Hindi came during the 1962 Indo-China war. Indian soldiers, most of them from the Hindi belt, enlisted locals to carry food and ammunition. The porters’ use of Hindi slowly spread to their families and neighbours. Since then, schools have become an important conduit for Hindi. Arunchal's schools follow the three-language formula laid down by the Centre, offering compulsory instruction in English, Hindi, and a third language. But no matter what medium students choose, Hindi is decidedly the choice language of conversation – even in English-medium schools, said Bodong Yirang, the director for elementary education in the Arunachal Pradesh department of education. The enthusiasm with which the state has taken to Hindi is unique in the North East. Dey believes that Hindi has not become as prevalent in the rest of the region because people in most other North East states already have a common language in which they can communicate. Despite Beijing's claims that parts of Arunchal Pradesh are actually part of its country, no one seems keen on learning the languages of the Middle Kingdom. Said Sangdo, "No one is speaking Chinese, only Hindi." Every person Scroll spoke to was clear on that point.